Hello there! 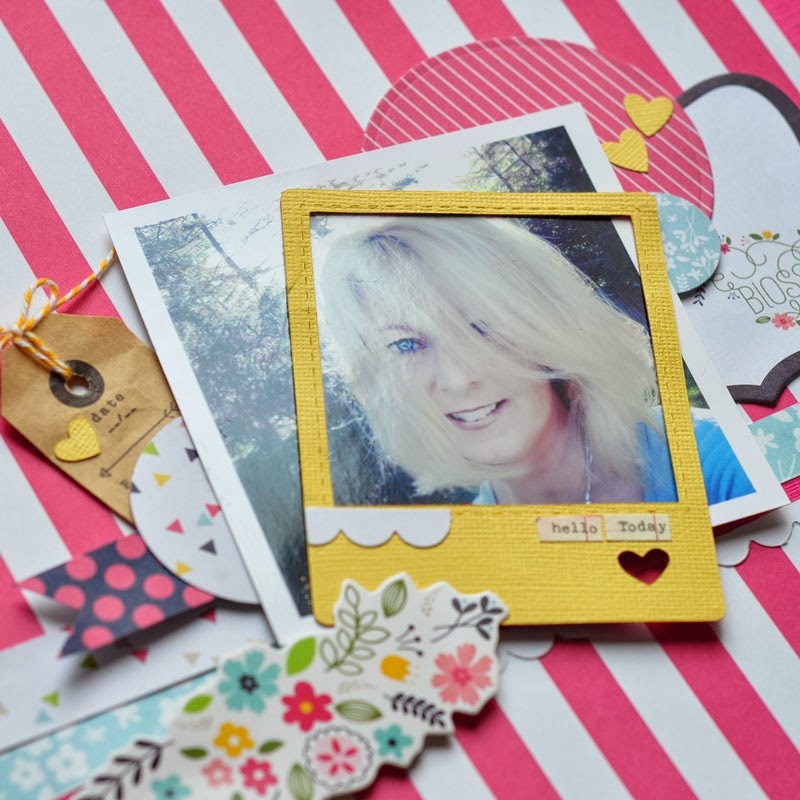 I love the freebie Heidi Swapp is offering on her blog that says "I choose happy". I just had to use it on a layout. Using my Silhouette, I cut it out three times and layered it to add some depth. 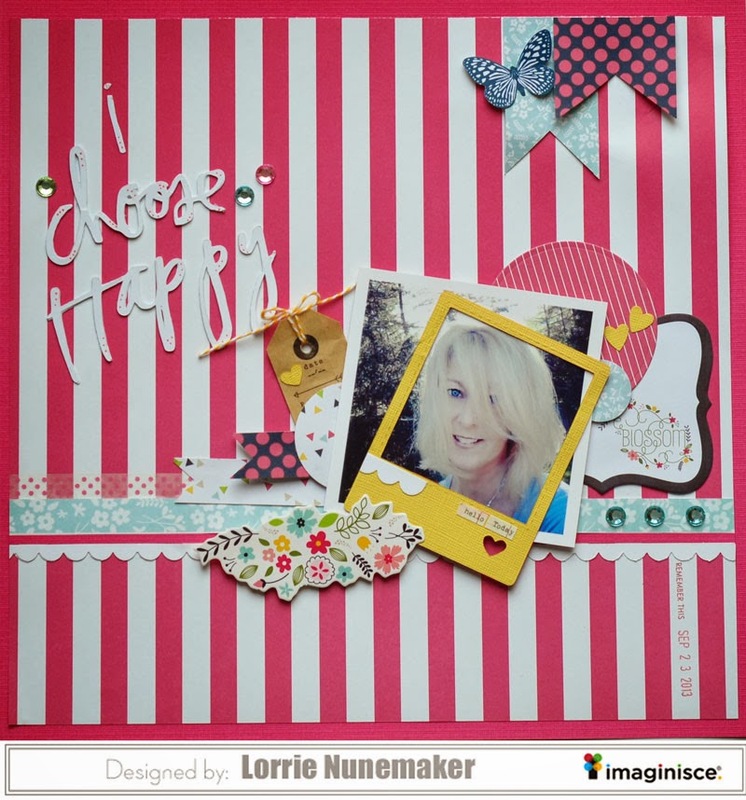 I used the Welcome Spring collection by Imaginisce for the papers and most of the embellishments. This collection has been my "go to" lately. It's so happy, bright and fits so many occasions.